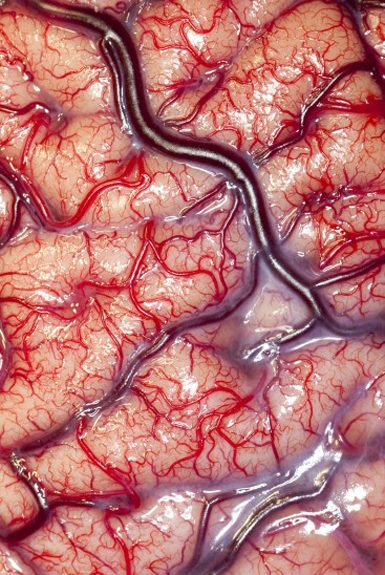 This striking and beautiful exposure of the surface of the human brain recently won the Wellcome Image Awards. Taken by Robert Ludlow as the patient awaited a treatment for epilepsy, this vibrant, colourful picture offers a stark contrast to the grey, inert look of a brain long separated from its body. But how easily could you convey such a sight without the latest digital camera? 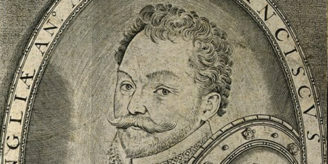 What if the most accurate method available was the fine point of engraver’s stylus? This image was not made by a doctor and not even by a professional illustrator but by a man more famous for creating one of London’s iconic buildings – St Paul’s Cathedral. In 1664 two years before the Great Fire of London created the opportunity for his architectural masterpiece, Sir Christopher Wren provided the pictures to accompany a book called Cerebri Anatome. Written by an English physician named Thomas Willis this work was the first to give a complete account of how blood was supplied to the brain. The circulatory system that supports this most complex of organs is still known as the ‘Circle of Willis’ to this day. 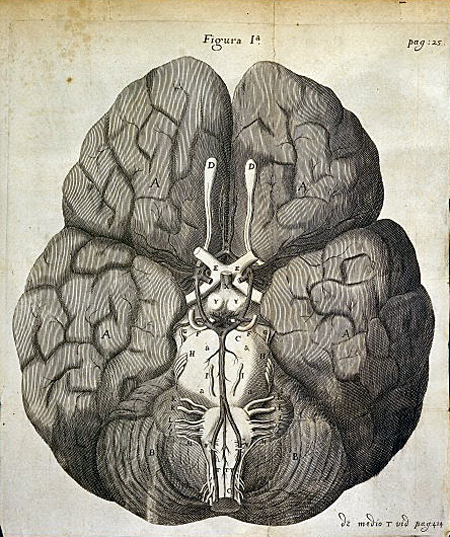 The Wellcome Library holds several editions of this seminal work complete with Wren’s original artwork. 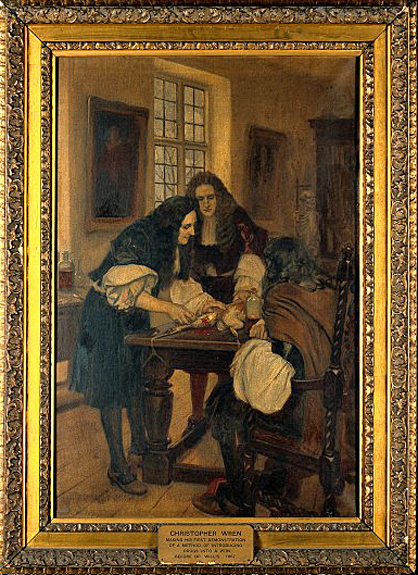 In this idealised painting Willis is assisting Wren to introduce drugs through a vein. 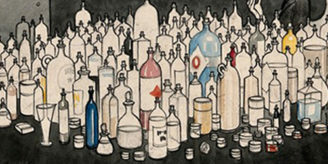 A founding Fellow of the Royal Society, Willis grew wealthy on his medical practice and part-financed a shared chemical laboratory at Wadham College, Oxford University. Willis cultivated relationships with notable scientists of the day; one of his assistants in these experiments was Robert Hooke who went on to produce Micrographia a book using the power of microscopes to reveal a wonderful, new world in amazing detail. Willis was also the first to use the word ‘neurology’ to describe the study of nerves. In his writings, he helped to focus on the solid tissues of the brain rather than the cavities and fluids emphasized in the more traditional humoral model of the body. His progressive ideas included attributing the cause of epilepsy to a physical condition rather than some form of ‘supernatural possession’, helping to pave the way for the research carried out by Robert Ludlow some 350 years later.